Are you afraid of color? Have you heard about color blocking? I’m sure you’ve seen it around lately. It certainly is a bold trend but you’re not afraid of fashion. 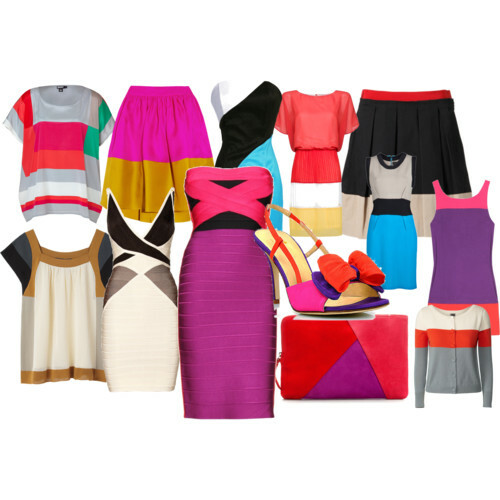 Color blocking is when you take opposite or contrasting colors and combine them. The results can be pretty striking but then that’s the whole point. The thing about fashion is that you can’t run from it and this trend is everywhere. Some garments are already constructed into the trend or is it the trend into the garment? Either way it makes it easier to wear the trend since you don’t have to figure out how to mix and match the colors. Quite a number of celebrities are wearing this trend already. Maybe after seeing it on them you may be more inclined to try it. Here are some for your viewing pleasure. Who do you think wore this trend the best? Would you wear this trend? Feel free to send us pictures of how you wear this trend and we’ll feature you on our blog.